We just love having this young buck in our pen! He stands so correct on beautifully straight front legs and strong pasterns. Pete has a gorgeous uphill stance, long rump and is a fancy little guy with lots of dairy character. He combines for us some of our best lines into one spunky little package! 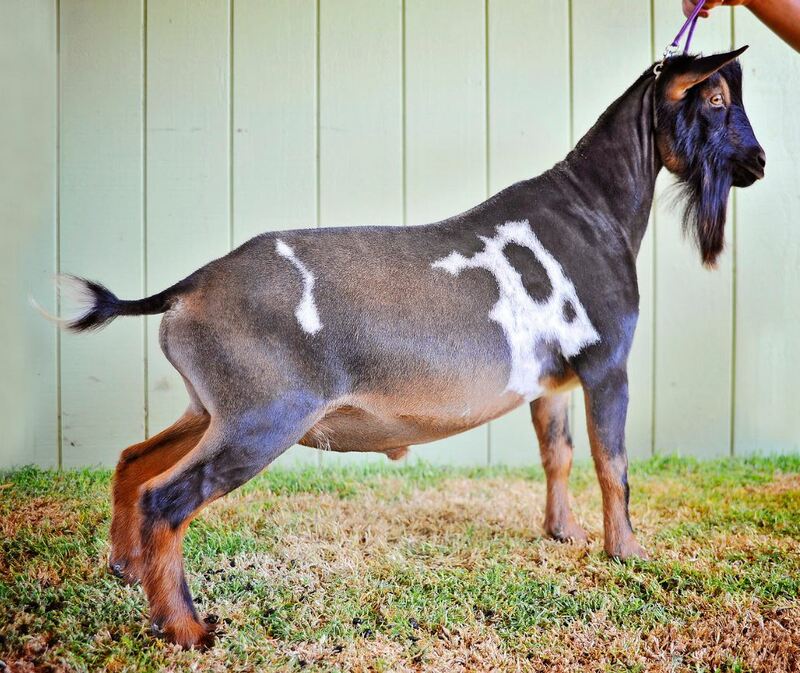 Pete's Sire hails from some of Castle Rocks best, his dam GCH Castle Rock Sarafina, is a phenomenal doe earning an LA score of 92 in 2015! 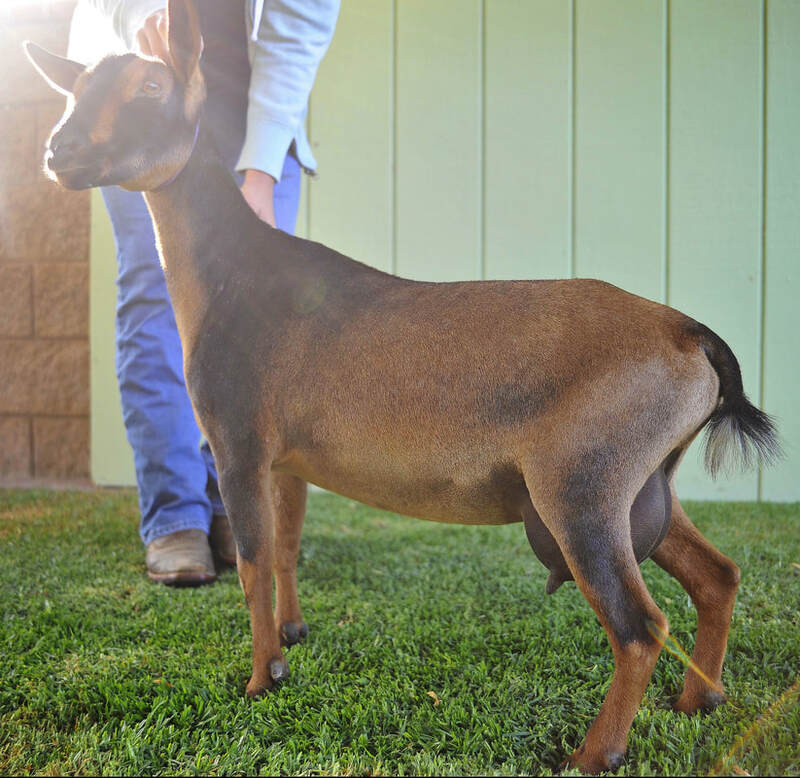 In the show ring, Sarafina easily finished her Championship Title by the age of two. She is also a very solid doe in the milk pail earning her milk star during her fourth lactation, where she produced 640 pounds of milk in just 185 day. She is extremely dairy with a beautifully attached fore udder, lovely top line and rump. His Maternal Grand Dam is our first finished champion doe, GCH Sierra Aspen Honeymoon Rose 2*M (VVEE 88 @ 04-04). Rose has performed well in the show ring from the moment we got her when she was 2 years old. Rose has an incredibly high, well attached udder. She exhibits overall correctness, very good shoulders and front leg placement with good brisket extension and an exceptional top line. Pete's dam is a young doe in our herd, but is showing incredible potential. Hidden Hills HB Bisou easily earned her AR Milk Star as a yearling first freshener. Bisou performed very well in the show ring as a yearling as well. We feel she has made some small improvements over her dam. She inherited her dams beautifully attached udder, but with a softer texture and she milks down to nothing. Pete's maternal Grand Sire, Algedi Farm DJ Higgs Boson brings solid, proven genetics to the table, both in the milk pail and show ring. Higgs parents are the infamous Drops of Jupiter and Zenith, two animals that many herds can trace their success back too. Pete is a combination of the best genetics we have in our herd!